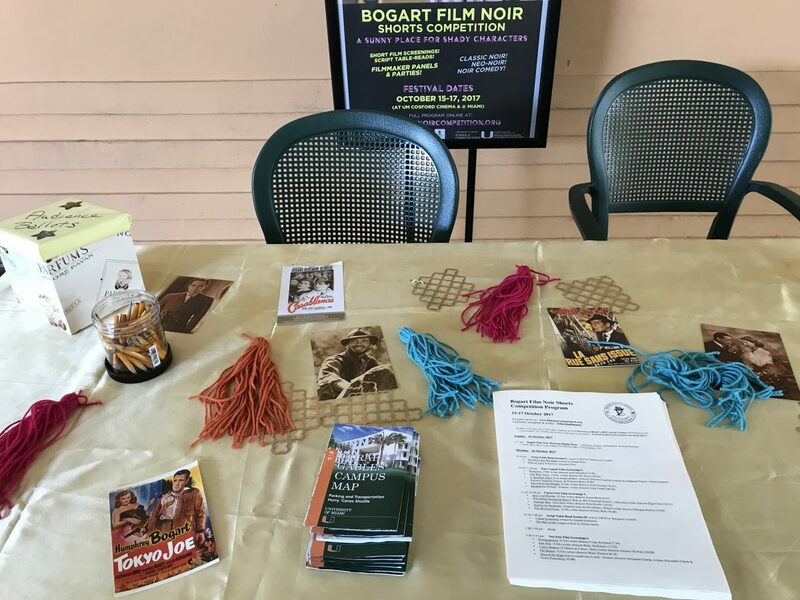 The classic French film genre, film noir, famous for its pessimistic mood and its depiction of the “femme fatale,” is being celebrated at the third annual “Bogart Film Noir Shorts Competition” at the University of Miami’s Bill Cosford Cinema. From Oct. 15-17, filmmakers from around the world were recognized as their contemporary film noir movies and scripts were played and read for the UM community and a judging panel comprised of UM professors, students and alumni. Expanding to not only a film competition but a film and script competition was a first this year. 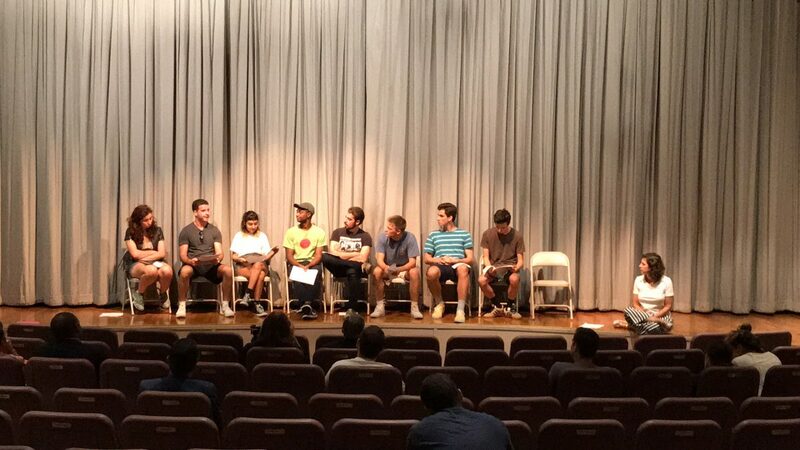 Now, finalists that sent their scripts get to have a table read done by the students of UM professor Margaret Cardillo’s screenwriting class. “Five of the six screenwriters that got shortlisted came from out of town and even out of the country to UM to hear their script read, which is really great,” founder, director and curator of the competition Ruth Reitan said. Opening up the competition to more than just student filmmakers was new to the festival this year. Because of this expansion, the festival received 100 submissions, the most entries in its three-year history. The films were a mix of international, national and student films. Entries came from countries all over the world, including Brazil, Hungary, Turkey, Italy, the U.K., Finland and Greece, among others, Reitan said. Reitan created the festival when she was writing her MFA thesis on film noir as a graduate student at UM’s film program. While researching for it, she learned of the Humphrey Bogart Film Festival in Key Largo, which highlighted Bogart’s famous film noir roles. She reached out to the organizers, one happened to be UM alum and Bogart’s grandson Richard Bogart. She told them about her idea to create a festival that would offer new short films to complement the classic style of film. 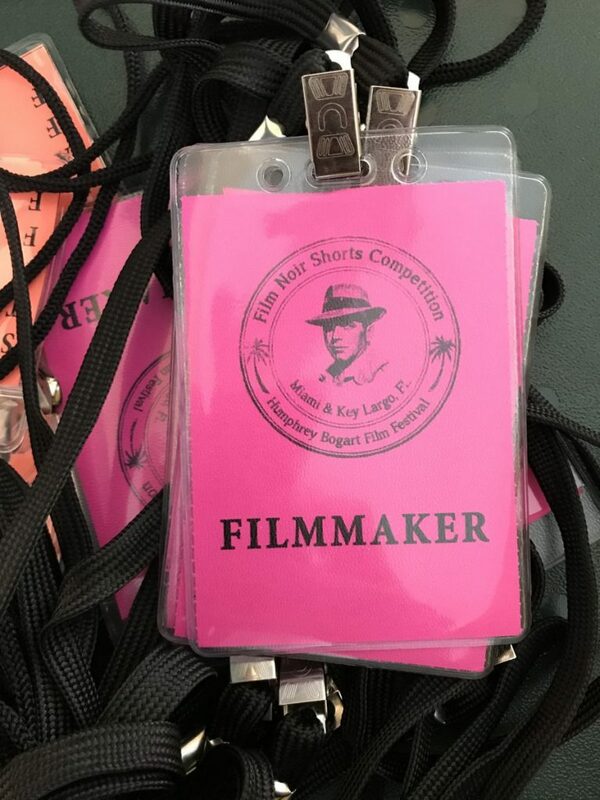 When the festival first began, it was in Key Largo, where the other Bogart film festival is located. But it was moved to UM’s Cosford Cinema last year, so there would be more student participation. “This competition is great because it gives student filmmakers a local festival to strive toward entering,” Landing said. When he first heard about the festival, three years ago, Landing said he could have never imagined one of his films being accepted into the competition. “It is an honor,” he said. The festival is not only a competition, but it brings in six top local filmmakers to give an educational workshop titled, “Filmmaking in South Florida: Local Successes, Future Challenges.” The discussion’s topic remains the same every festival – the unique pitfalls and resources available to local filmmakers – but the panelists change every year. “If students take part in watching the films, hearing the table reads and going to these events, they can actually learn a lot from existing filmmakers,” Reitan said. The future of the event hangs in the unknown. As Reitan leaves to pursue her Ph.D. at another school, her passion project will have to be turned over to another member of the UM School of Communication. There is a possibility the festival will move to epicenter of film, Los Angeles, since its sister festival in Key Largo might do the same. Find out more about the “Bogart Film Noir Shorts Competition” at filmnoircompetition.org.